Flat File Paper Storage: A Necessity in this Age? Today, most people think of paper-filing as archaic and no longer necessary. Technological devices, scanning, and photography have efficiently replaced our paper piles and storage devices. However, if you were to speak to an artist, architect, elementary teacher, or Children’s Director, the need becomes glaringly obvious. Whether you are a self-employed artist, run an architecture firm, or work in a church, consider ending the clutter. 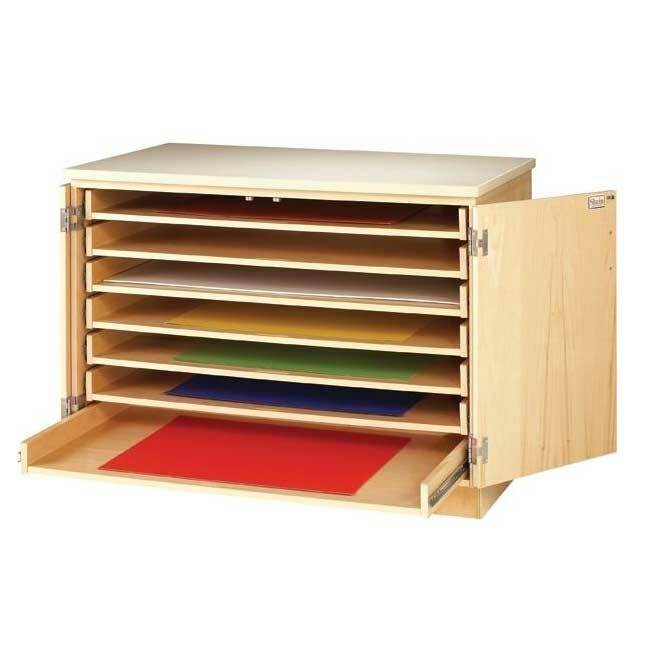 Savor your plans and projects with the flat file paper storage sold by Worthington Direct. If you’re looking for a professional locking unit to save space, preserve materials, and organize your papers or projects for efficient future use, Safco Steel Flat Files are sure to do the job. With attractive lines and chrome hardware, these non-noisy pieces of furniture will blend into your space with a contemporary look no matter the style of the room. 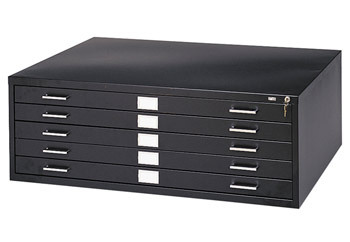 These steel flat files by Safco come in two sizes. Whether you choose the five or ten drawer unit, the height can be customized using a base. 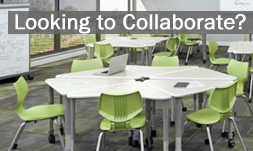 Both low and high bases are available to best suit your classroom, office, or work space. Drawers remain tightly shut between uses and keep steady as you file, fill, or seek for previously stored contents. With Safco Steel Flat Files, there’s no more need to consider tossing the abnormally shaped projects and plans which do not fit elsewhere. 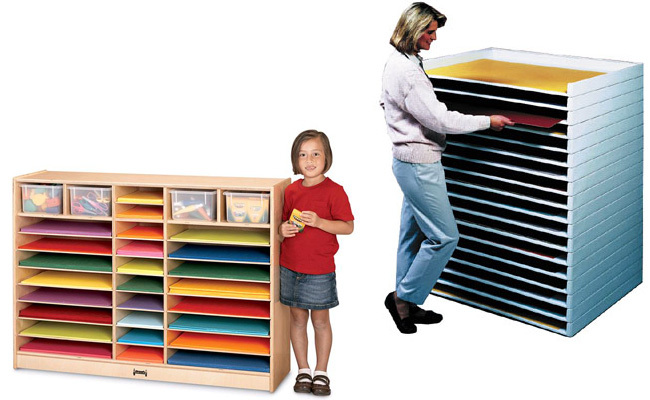 For art classrooms, consider Shain’s Paper Storage Cabinet. The maple plywood cabinet features seven pull-out drawers that are spacious enough to provide storage space for flat items like paper, blueprints, and maps. The locking cabinet doors will keep artwork safe and secure. Filing children’s artwork over a classroom school year will allow you a most convenient way to both review and celebrate student progress. Still not sure? Contact us with further questions and inquiries. We are glad to share how other consumers have found these storage units incredibly helpful.